A ghostwriter is a strategic partner who takes on the roles of project manager, publishing consultant, investigative journalist, editor and expert writer. A good ghostwriter helps find your story's overarching purpose. We evaluate your market niche, identify your audience, and reveal your unique point of view. Then we craft all those particulars into a story that will bring your idea to life. 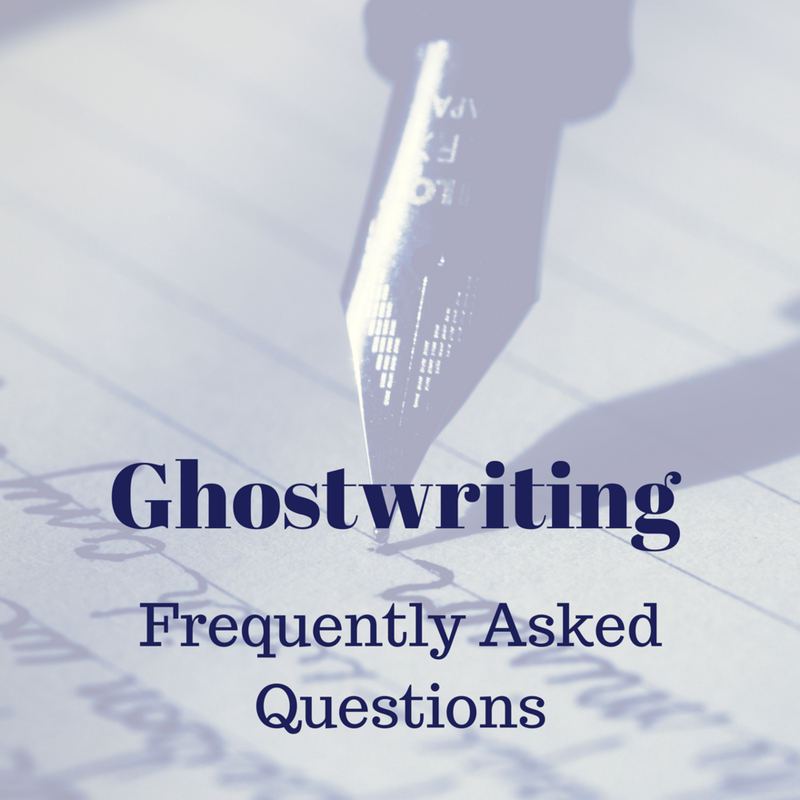 A ghostwriter takes the time you don't have to write the book you want to publish. That's a great question. You need a ghostwriter if you're a business owner, speaker, executive or consultant. If you want to leave a legacy of your incredible life. If you just don't have the time to sit down daily and write or you have no idea what to say, but the message is burning bush in your brain, then you need a ghostwriter. If you've already written your story, but you know it needs more, you might consider using my services a book surgeon. Click Here to learn more. Does your name appear as the author in my book? It's your book, so your name is front and center. I'm just the professional translator or conduit. Liken it to building a house. You have the idea of what your house will look like in your head, but you either don't have the skill or the time to build it yourself. So, you hire a professional to make it a reality. Afterwards, you don't tell people it's XYZ Construction's house. You say, "This is my house. Don't you love it?" There are times when a byline is negotiated such as "As told to..." But that is not always the case. The whole project takes about six to nine months to complete. The first few virtual interviews will be high-level concept interviews. These are usually done through an online meeting platform such as Skype or Zoom. They can be phone interviews, but I've found those to be less productive. With video conferencing, I'm able to observe your actions and words to get the best out of our meetings. I'll go away and build a rough outline and chapter summaries. I'll send it to you. You'll give me comments. I'll revise it, then we'll schedule the in-person interviews. The in-person interviews will take place over a few days. This is where we delve deeper into the concepts and ideas of your book. I'll record our sessions for later review. Be forewarned, while these interviews are fun and interesting, they will take hours and are taxing on your body. I'll provide hydration and snacks to help, but you'll probably want to schedule self-care afterward. Once we complete the interviews, my fun begins. I'll have our recorded interviews transcribed and start my favorite part of the process. I'll utilize all my skills to take your words, my research, and our outline to write and revise the first draft, then send it to you for review. You'll take time to read it, make comments, then send it back to me. I'll revise the first draft from your comments and we end up with a final draft of your manuscript. Will you help me market my book? My profession requires me to be aware of marketing trends, author branding, and revenue possibilities for authors. I utilize that knowledge to help you create an outstanding book that will have a greater chance of being seen in the crowd. I will gladly point you to resources that will help you market your book, but my passion is the writing. I have self-publishing services I offer to those authors who wish to take the self-publishing route. If you prefer, I can direct you to professionals who will help you with traditional publishing and finding an agent.